Everyday is life busy. Especially if you’re trying to juggle a full time job, keeping fit, time for friends/family and all the other things you love, as well as trying to add studying for that dream job on top. We get it. It’s hard. It takes dedication and commitment, but it is all very possible if you’re organised and determined. For that reason, we’ve mapped out what we think are the 4 best you can study whilst working full time to change your career to something you’re more passionate about. Whatever your schedule, you should be able to plan at least the week ahead in advance, which is key to managing your time successfully. 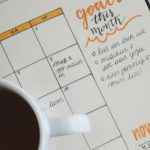 It doesn’t take much more than spending 15 minutes each Sunday afternoon/evening, or whenever the end of your week is, to sit down and plan the week ahead. How will you spend your free time outside of work hours? Where you can schedule everything in. The idea is not to be overly ambitious, so that you can stick to it. You’ll be much more likely to get into the routine and get everything you wanted done, especially after a few weeks when you can be more and more realistic. Make sure you write it down somewhere and use as a reference at the start of each day. This way, rather than procrastinating and wondering what you should be doing, you can look at your plan and get the things you want to do, done. You should know what’s important to you. Life changes day to day, month to month, year to year. Make this year the year you change your career, so put that as your top priority. If it is a priority, start now. There is no reason to put it off. If you’re busy at the moment, limit your study to a few hours per week. You’ll have 12 months to complete each Certificate (Certificate III in Fitness & Certificate IV in Fitness). The sooner you can get started, the sooner you can make that change to your career. Although you’ll likely have an idea of what’s important to you, you also need balance in your life. If you try to commit 100% to one thing, there’s a high chance you’ll simply burn out, lose interest or get bored. This is going to derail any chance of completing your course and starting a new career. Therefore, it’s important to make sure you balance out your commitments and maintain some pleasures. If you can schedule some fun time in, you’ll be more motivated to get back to work. At the end of the day, if it’s a priority to you, you should love it. If changing career to work in an exciting industry matters to you, then studying the information you’ll be using every day should also be really interesting to you. If you didn’t like school, that was probably because you didn’t like the subjects you were studying. When you study a subject you love, it’s genuinely interesting and fun. You’ll learn a wealth of knowledge that’ll make you a true Personal Training expert, as well as improving your own fitness regime. Besides your study, you should try to only focus on other things you love, and fit them in around your job and study. This will help you maintain focus and keep you happy. Learn to say no to activities that are not conducive to your goals or to things you don’t particularly want to do. Finally, study in the way that works for you. We offer both an online course, that many people find the best way to study, especially if they’re studying around full time employment, as you can fit it in around other priorities. Online learning also gives you the ability to work from anywhere. Perhaps you can fire up our platform on your lunch break, and get 45 minutes of study done. We also have an iPhone and Android app, which gives you further flexibility. You can download podcasts of our lectures to play on your commute to work for example. We also offer a face-to-face course, where you’ll spend 2 days per week at our Caulfield campus learning in our fully equipped gym and classrooms. If you happen to have 2 days off during the week, and this is the best way to study for you, that’s also an option. The biggest piece of advice is to get organised. Being organised makes study much easier, helping you to complete the course quicker. On top of that you’ll get a lot more done, including time for your passions, and seeing family and friends. And finally, make studying a priority, but maintain balance in your life so you continue to love everything you do.